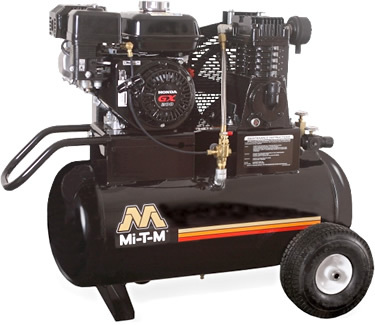 Industrial Equipment - MI-T-M Corporation - JGB Enterprises, Inc. 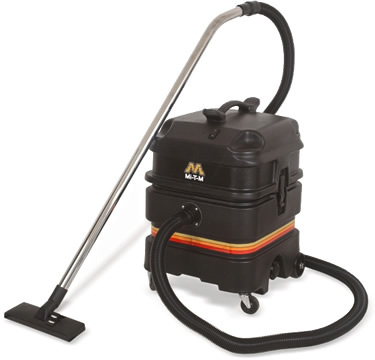 Built for all-purpose cleaning, the lightweight and portable CD Series electric model is perfect for homeowners and small industrial jobs where exhaust fumes are prohibited. 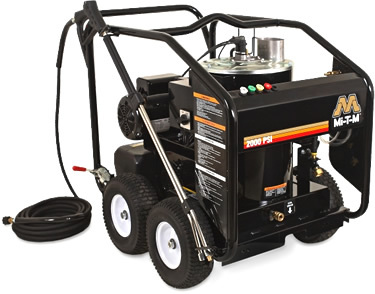 Designed with both contractors and remodelers in mind, the 8-gallon two stage air compressor is perfect for job site tasks requiring a higher CFM and air capacity. 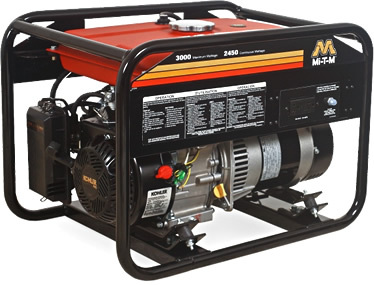 Your 8-gallon air compressor/generator will run your air and electric tools from one convenient machine, in times of power failure use the generator as a backup power source. 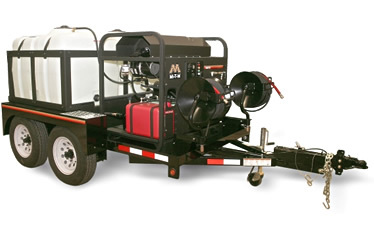 The ChoreMaster® Series portable generators feature a Mi-T-M OHV engine that offers maximum power and electrical back-up under any given situation. 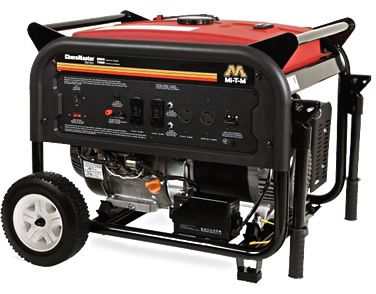 Featuring an easy access and protected control panel with magnetic circuit breakers and GFCI-protected receptacles; this portable generator provides power for most industrial and contractor needs. 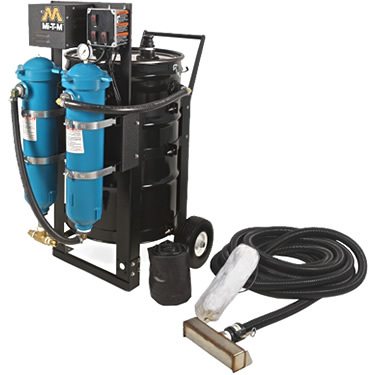 Engineered to be one of the quietest and high-performing vacuums in the industry, the 13 & 18-gallon Mi-T-M industrial wet and dry vacuums are built to handle industrial jobs. 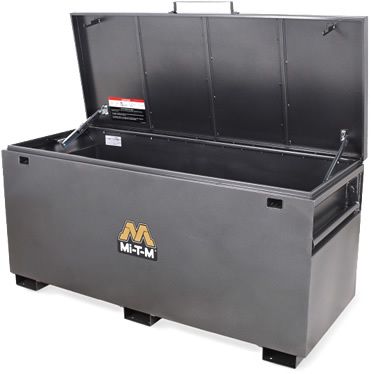 Constructed from heavy-duty solid-steel, the Mi-T-M jobsite boxes are built to handle the rough demands of construction sites and feature a locking lid to protect your valuables. 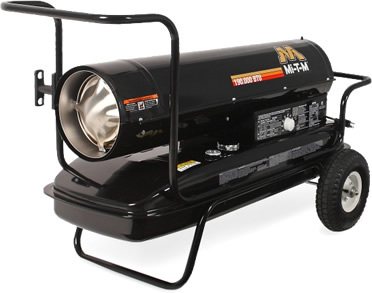 The kerosene-fired forced air heaters are portable and easy to operate. Extend heat into wide areas creating a comfortable work environment even in the harshest conditions. Use the 2 - 3-inch semi-trash pump to remove unwanted water and small solid waste from your jobsite. 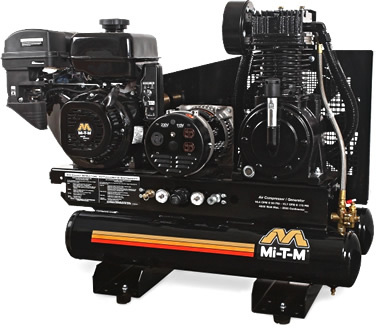 Powered by one of three engines; a Honda OHV, Subaru OHC or a Mi-T-M OHV this pump is ideal for construction and agricultural applications. 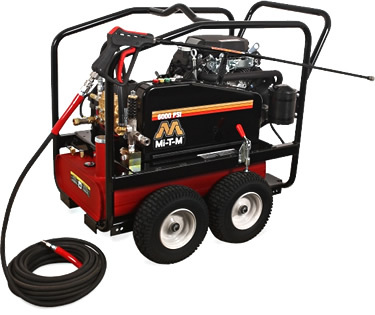 Built to last, the HSE Series pressure washer is equipped with a top-fired heat exchanger that is energy-efficient and a popular choice for all industrial applications. Clean larger surfaces faster and easier than with a standard cleaning nozzle. 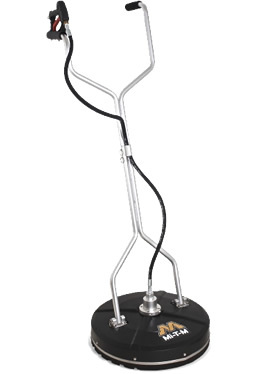 The Mi-T-M surface cleaners are equipped with strong-bristled brushes for long life and easy glide control. This cleaning accessory can be used on decks, patios, sidewalks, driveways, pool decks, parking lots and any other horizontal surface. For the ultimate in portability: Purchase a dual-axle trailer unit, add reliable Mi-T-M equipment to suit your application, and you are ready for the next job! Trailer units are used by heavy construction contractors, factories, well drillers, mines, military bases, road builders, contract cleaners, shipyards, municipalities and food services. The PWR Series allows for wash water to be reclaimed on the jobsite. Water is reclaimed by using the 20-foot water berm (included) to stop water from flowing down a drain or away from your area. 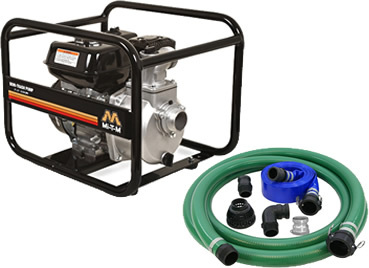 The suction head draws wash water into a holding chamber where a 1/3 HP transfer pump forces the water through optional single (WX-0108) or dual (WX-0109), 10 or 50-micron bag filters before returning it to a holding tank for reuse, or proper disposal.